This was released in 2017, but I got in quite late at the start of the year. So late in fact, I had the last two drams of the final bottle. My heart sank when I was told that was it because I fell in love instantly. For me, this is one phenomenal whisky - one of the absolute best of 2018 so far and the bottling is just beautiful. This isn't your typical Ledaig, known for its highly distinctive peaty and smoky character and the phenolic notes that rises through the zesty fruits and delicate spice, as you will find in the 1996 Vintage Sherry Cask and the 18yo Oloroso finishes respectively. However, I was never really taken in by these two editions, because for someone who fully enjoys full-bodied, meaty and deep whiskies they both sort of put me in an awkward spot! Balancing on a tightrope somewhere between the smoky end of the spectrum and the sweetness of the fruit and spices, I couldn't quite settle into it. I found the smoke and phenol in the18yo Oloroso quite overpowering on the palate and wasn't very balanced with the sweetness of the sherry. On the other hand, I found the Vintage Sherry Cask more balanced and rounded, although light on the sweetness. The finish was also rather cold to me - citric and grassy. So what does the Amontillado cask finish bring? Well, for starters a much more meatier, complex, dense and smoky body. The complexity of which the Amontillado cask brings to the final stage of whisky maturation is owed to the fusion of non-oxidative and oxidative maturation on the original sherry that aged in the cask. The result being a darker and richer Amontillado sherry than either a Fino or Manzanilla. Therefore, what you get in the whisky are the characteristic flavours as: Nutty - more so almonds, oak, caramel, dried fruits, tobacco and some saltiness. 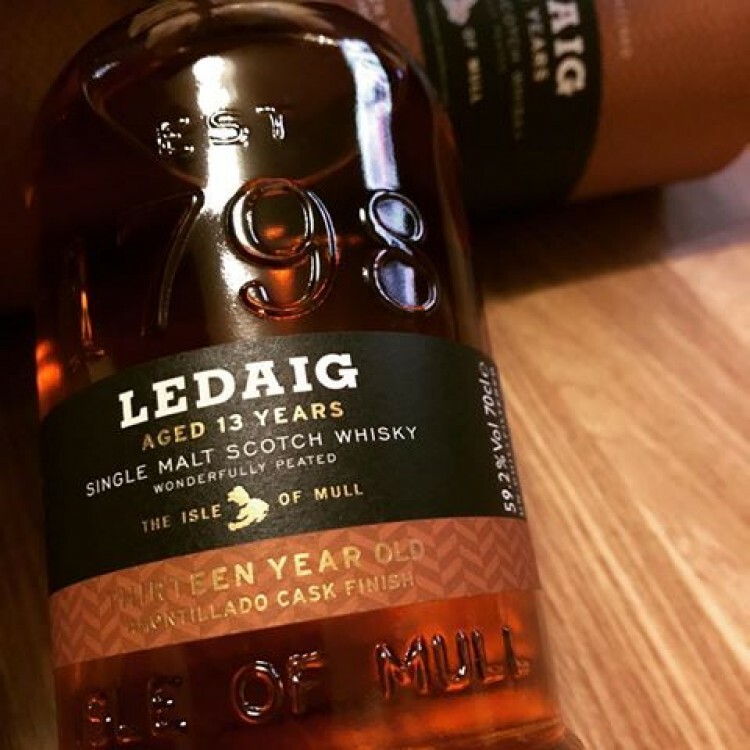 This pairs extremely well with the Ledaig profile in that you get an incredibly rich, caramel and smoky body with an amazing wave of peppers and dried fruits intertwined with almonds and subtle spice. The finish is long with a warm lingering salty caramel and smoke. This is definitely a drink to savour and keep returning to. A treasure in the Ledaig range, in my opinion and quite underrated. I enjoyed this review. I have an open bottle of the 10 (my first Ledaig) but very tempted to try this next. Sounds very interesting. I realised recently I like the Ledaig's smokey character, without being medicinal which I'm struggling with. A current favorite is the Talisker DE for the balance of smoke, spice and sweetness (amoroso) without neither being overpowering. This sounds nicely balanced if I look for strong presence of smoke, round sweet maybe without the intense pepper of Talisker. Thanks for the nice review. @RikS This will definitely be up your street.. Have you tried the Talisker 57 North? Also worth trying. Thanks for writing! This was a fun review. And this Ledaig sounds incredible—I hadn't even heard of this one before. @Mizunara_notes No, I haven't tried that one yet. Would you say it's a notable addition if I already have the Talisker distiller's edition? And how would you say that the Ledaig you reviewed compares in terms of spice / pepper to the Talisker? They're selling this on the Whisky Exchange in the UK. £70 A bottle though so quite pricy. @RikS The Talisker 57 North is, in my opinion, the best from the core range (followed by the 18YO). It stands out in terms of it's punchier full-bodied and peaty character with strong notes of caramelised, fruits, spices and peppery notes. Interesting review, thanks! I've been eyeing this one up but won't be buying any time soon (my purchases so far this year are way ahead of schedule). 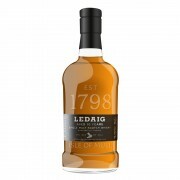 You have certainly convinced me that it is one I would like and I'm a big Ledaig fan! Splendid whisky! I was so impressed that I bought another one today!